Love, Mrs. Mommy: Mommy & Me Giveaway! Win a Nursing Pillow, Toddler Pillow & Book! $67 RV! 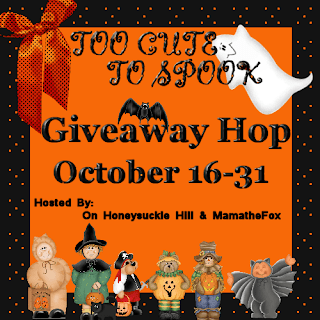 Mommy & Me Giveaway! 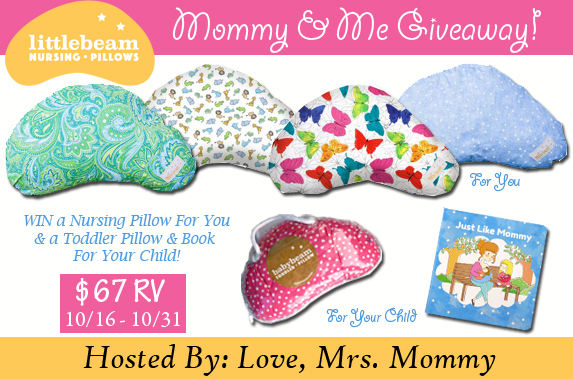 Win a Nursing Pillow, Toddler Pillow & Book! $67 RV! hosted by On Honeysuckle Hill and MamatheFox! At each stop in this hop you can find a fun prize valued at $10 or more. Be sure to come back for your daily entries to increase you chances of winning! Good Luck! I am so excited to bring my readers this wonderful Mommy & Me Giveaway! 1 lucky winner will receive a littlebeam nursing pillow (of their choice), babybeam toddler pillow (of their choice), and a Just Like Mommy board book! A $67 RV prize package! Click here to read Love, Mrs. Mommy's full littlebeam review! & a Just Like Mommy board book! Disclosure: Love, Mrs. Mommy and all participating bloggers are not held responsible for sponsors who do not fulfill their prize obligations. Love, Mrs. Mommy received a toddler pillow and board book at no cost to facilitate the above-mentioned review. This giveaway is in no way endorsed or sponsored by Facebook or any other social media site. The winner will be randomly drawn by Giveaway Tools and will be notified by email. Winner has 48 hours to reply before a replacement winner will be drawn. If you would like to participate in an event like this please contact LoveMrsMommy (at) gmail (dot) com.